See the Olivier Award nominated smash hit The Tiger Who Came to Tea, direct from the West End, at Lighthouse, Poole. 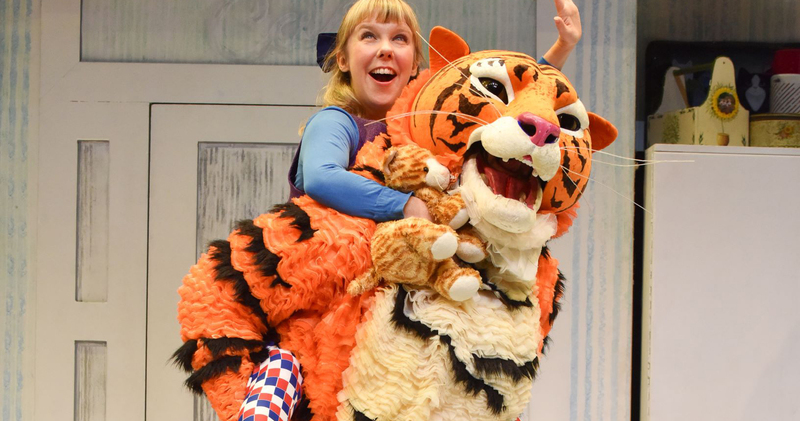 The musical play is based on the book by Judith Kerr and adapted and directed by David Wood. And it’s now become a modern children’s classic. Just as Sophie and her mummy are sitting down to tea the doorbell rings. Who could it possibly be? What they certainly don’t expect to see at the door is a big, stripey tiger. Come see the delightful family show and join the tea-guzzling tiger in sing-alongs, magic and chaos – a strunning stage adaptation of the timeless tale of teatime mayhem. A surprise for all! See it Tuesday 16 April at 1.30pm, or Wednesday 17 and Thursday 18 April at 11am and 2pm at Lighthouse, Poole’s Centre for the Arts. For more information and to book tickets, visit the website here.